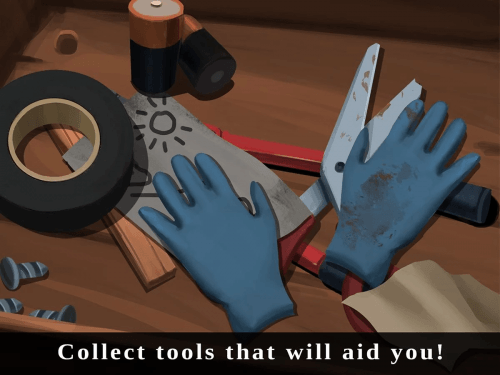 SpellMiner is an addictively fun, fast-paced word game loaded with power-ups and bonuses! Swipe the letters to clear words and mine deeper for more gold and bonuses. 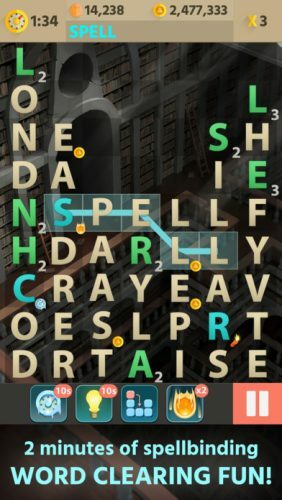 Spell longer words to spawn power letters that create massive explosions, rain down fire, boost your point multiplier, or freeze gameplay to give you extra time. 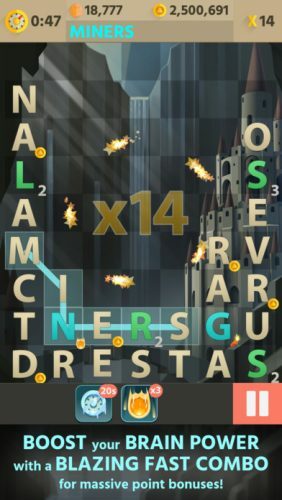 Work your fingers quickly to build up a word combo for gold bonuses and a huge score that will leave your opponent astonished. 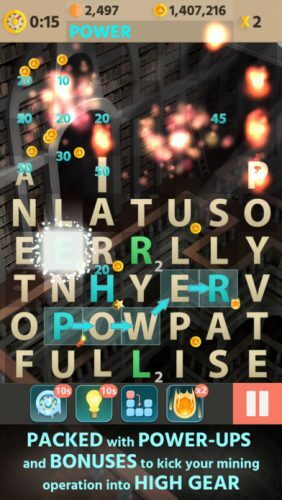 Strategically use the point multiplier letters to create words worth a vast number of points. Each round of gameplay flies by in two minutes. 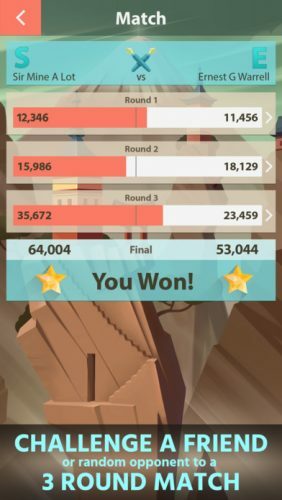 Challenge a friend or an auto-match opponent to a 3 round match and take your turns whenever you have a couple of minutes free. 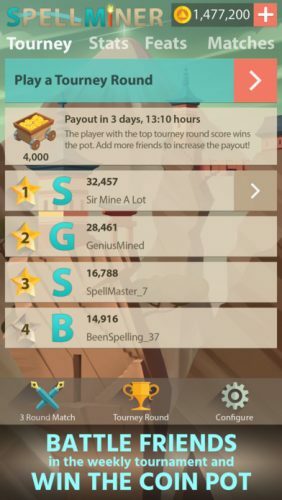 Each week, battle with your tourney friends for the top tourney round score. The winner takes the coin pot, along with bragging rights of course! 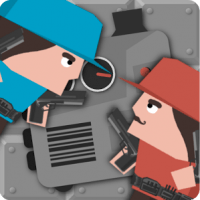 Loaded with player and round stats and packed with achievements that will challenge even the nimblest of finger and mind! Retailers: App Store | Google Play! Join Samantha and Gordon in an all new adventure! 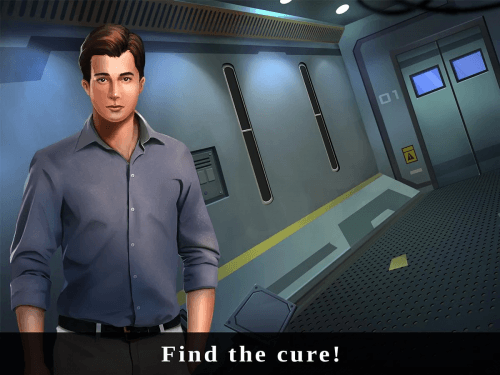 Your mission is to obtain a vaccine from the New Dawn facility, claimed to be the only chance of protecting people from the devastating effects of the Torroto virus, which appears to have been developed as a biological weapon and is now spreading on a number of islands in the Pacific and is headed toward Hawaii. 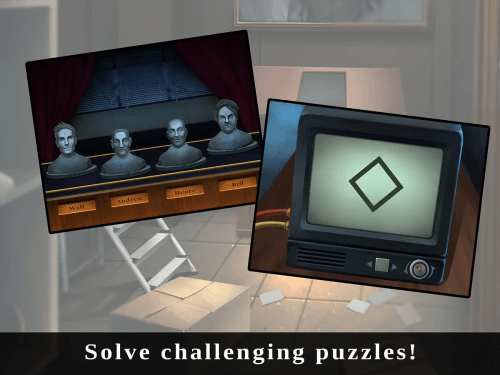 • Tricky and challenging puzzles! • No signup’s required, just download and install! 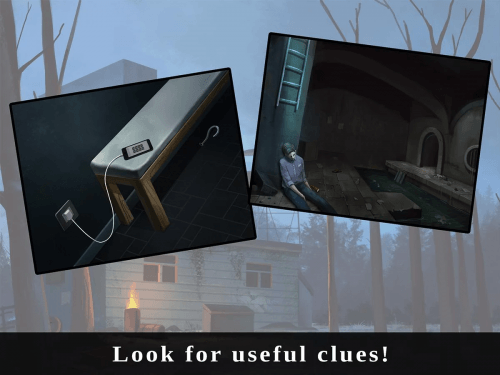 Enjoy this fun adventure escape game! 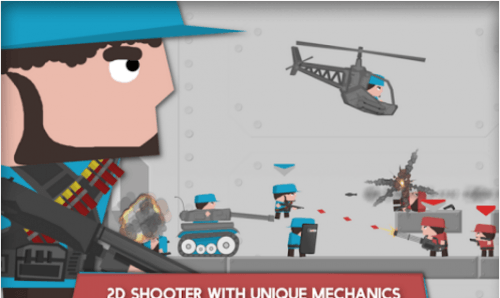 Description: This is not your everyday 2D shooter. 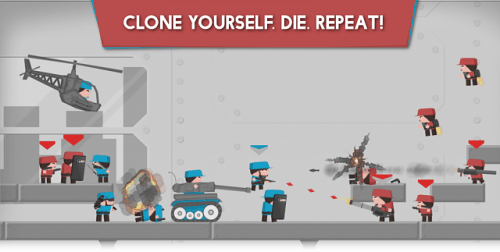 Clone Armies are different, new and fresh! Remember how frequently did you smash restart button in action shooters, when something went terribly wrong and you died? In our game, you will probably do the same – but there is ONE big difference – your previous tries will back you up! 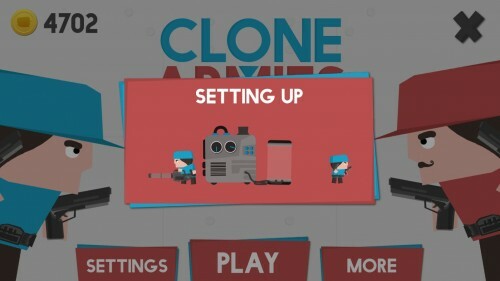 Every additional clone will copy exact same moves you did, when you were playing as it. 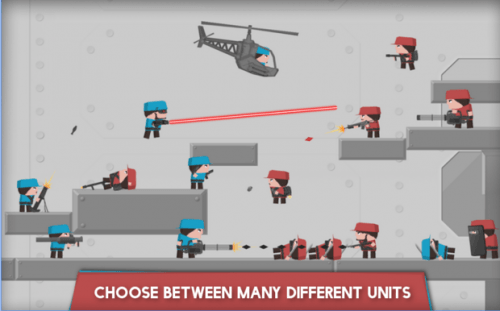 Choose between many different units ranging from minigun wielding soldier to jet-pack or tank and use this unique mechanics along with your creativity to find one of the hundred ways to complete challenging missions in Clone Armies. 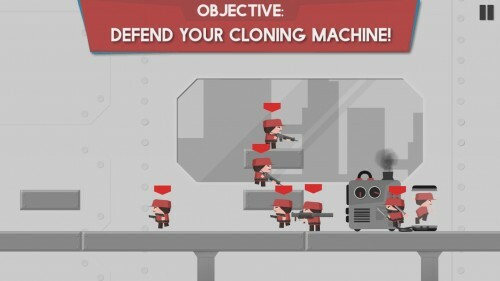 Lead your army against the enemy with red hat and mustache! Description: Slippy Snake is the ultimate remake of Snake! Play snake like never before, move in any direction, unlock new levels, and share screenshots with friends! 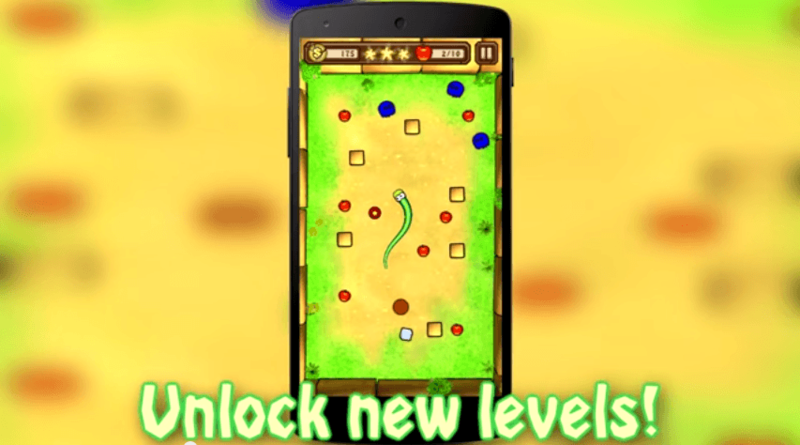 Unlock new challenging, addictive levels and intriguing new power ups, Slippy Snake will be sure to keep you entertained for hours trying to achieve the perfect score. Controlled by touch and with all new HD graphics, Slippy Snake is the best remake that brings the classic game play of the old Nokia game, Snake, back to life! With other eight different types of food, eat apples, burgers and more that make you snake longer, just like the original Snake. Slippy Snake will be sure to keep you on your feet! Enjoy competing against friends to see who can get the highest score on the in-game leader boards. “Sandy Cove” is a melodic, jazzy soundtrack intended to accompany an exciting underwater adventure. Reminiscent of the Super Mario Brothers series, it features acoustic and nylon guitars, an arpeggiated synth, and other small ensemble instruments. “The Chase” is a thrilling orchestral piece, inspired by music from the Final Fantasy video game series. The perfect underscore for video game battle sequences and high intensity action film scenes. 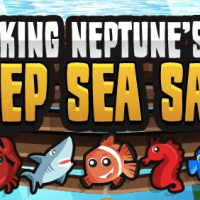 Description: King Neptune’s Deep Sea Saga is an adventurous, under water puzzle game developed for mobile platforms. It’s fun, challenging, and up-tempo gameplay is accompanied by it’s vibrant graphics and exciting soundtrack. 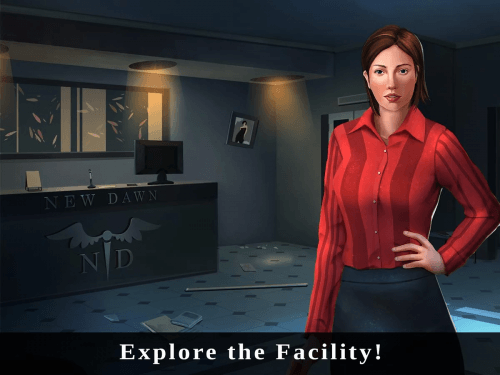 The game was released in early 2014 by Aussie game developer Bent Back Pty Ltd. Produced the complete musical score and sound effects. 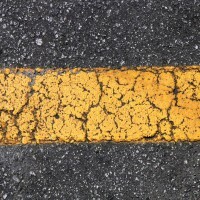 “Asphalt” is a conglomerate of filtered sines, squares, and triangles, this exciting track pairs well with energetic, fast-action, shoot ’em up type video games.